Las Vegas, NV - Patriot Gold Corp. (PGOL:OTC) or ("Patriot Gold"), a developing gold and silver exploration and production company, today announced the results of an airborne magnetic survey of its Moss Gold-Silver project located in the historic and active Oatman Mining District near Bullhead City, Arizona. Results of the survey included use of magnetic, field mapping and historic mineral and workings data. The main Moss resource and hosting structure lies along a well-defined magnetic high and includes three kilometers of unexplored potential on one structure. Nine magnetic linear anomalies associated with known mineral occurrences and historic workings were found as part of the Moss structure, indicating potential for hosting new discoveries along these structures. One structure includes nearly six kilometers of a mapped extension of the Gold Road deposit which previously produced nearly 500,000 ounces at 0.32 opt gold. The implications of the new data indicate that the exploration potential of the Moss site is very good and that there is the likelihood of further discoveries on the Moss property. Following the interpreted results of the survey, the Company's partner Northern Vertex Mining Corp., is currently designing an exploration program to assess the potential of the additional structures identified that would run concurrently with Phase II - Operations Phase of the Moss project plan. The survey found a total of 21 kilometers of potential strike length along the entire Moss Mine property. In addition, several other linear magnetic lows and highs were found that would require ground work to determine if they are mineralized. In June 2013, a preliminary economic assessment of the Moss Mine Project, which did not include the current survey results, assessed the measured and indicated gold equivalency of the site at 654,000 ounces with an inferred resource estimate of 82,000 ounces. "While the results of the survey are preliminary at this stage, this type of mapping has been the foundation for many successful early stage exploration programs," said Bob Coale, CEO of Patriot Gold. 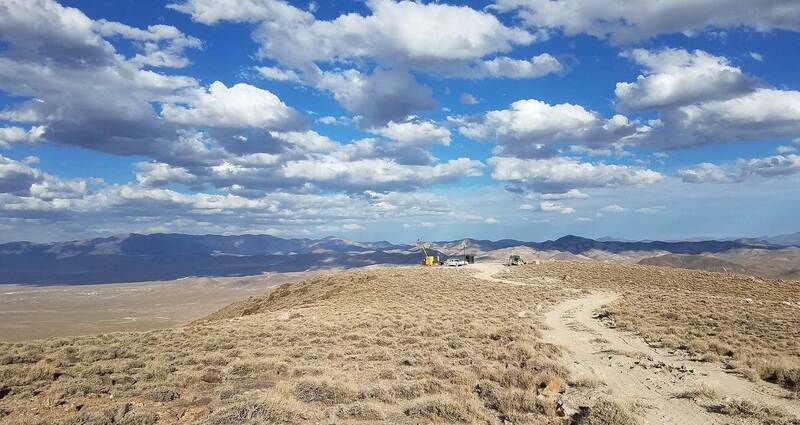 "Considering that the historic production in the Oatman District previously exceeded 2 million ounces of gold production, we believe the survey results highlight the Moss Gold-Silver project's high potential for additional gold discoveries which could further increase the value of this property." The Moss Mine Project is located approximately seven miles due east of Bullhead City, Arizona. Patriot Gold is the 100% owner in the historic Moss Gold-Silver property located in Mohave County, Arizona, which is subject to certain royalties and an earn-in option agreement for 70% interest. The earn-in optionee/operator (Northern Vertex Corp.) has the right to earn a 70% interest in the project by completing an $8.5 million investment over five years and a bankable feasibility study. Subsequent to the earn-in, financing of the project will be on a proportional basis.